Chapter Eight — Profession of Sister Thérèse — My Catholic Life! Lesson: Thérèse of the Child Jesus and the Holy Face had hoped to make her profession of vows when she turned seventeen in January 1890. However, she would not be allowed to make her profession until September 8, 1890. Eventually the retreat before her profession arrived and once again, God performed great works in her soul. I unconsciously received many interior lights on the best means of pleasing God, and practising virtue. I have often observed that Our Lord will not give me any store of provisions, but nourishes me each moment with food that is ever new; I find it within me without knowing how it has come there. I simply believe that it is Jesus Himself hidden in my poor heart, who is secretly at work, inspiring me with what He wishes me to do as each occasion arises. Thérèse continued to discover the new way in which God was forming her in virtue. She did not receive “any store of provisions” on which she could rely during her retreat. But she did discover that God was nourishing her with “food that is ever new.” Jesus was secretly transforming her soul and filling her with virtue, oftentimes to her surprise and without her immediate knowledge. Though she was desolate and dry in her spiritual consolations, she was daily perceiving grace at work in her soul by seeing the effects of God’s grace. Thérèse was living a new and beautiful gift of spiritual poverty. She was left empty and wanting, sensing nothing of the presence of God. But in that poverty, she was being nourished, moment by moment by God’s providence, with the rich food of grace just prior to professing poverty in her vows. Reflection: Perhaps, at times, you feel a certain “poverty” in regard to your life of prayer. You may not sense God’s presence or perceive His perfect will. If this is on account of idleness in your prayer, then you must grow in fervor. But if your fervor is present and you still find spiritual consolation lacking, you might want to pause and rejoice in that fact. God often does great things in us, not through powerful feelings and consolations, but through dryness and interior desolation. Though only those who reach the heights of holiness that Thérèse reached experience utter desolation, you might begin to experience it to the extent that you are growing in holiness. This is an invitation to embrace a holy form of spiritual poverty. Reflect, today, not upon whether you “feel” God’s presence in your life. Rather, reflect upon any good fruits you see being born in your life. Where the virtues are, God is at work. Rejoice in that good work and continue to do that which fosters this good fruit. Dearest Saint Thérèse, God transformed your soul in many ways, despite your loss of all interior consolation. In the midst of this dryness and desolation, God rained down grace upon you, implanting within you the most beautiful virtues. Pray for me, that I may imitate your profound and unwavering commitment to God. May I have that same commitment and be bathed in countless graces from Heaven. Saint Thérèse, pray for us. Lesson: Oftentimes, when we are on the verge of fulfilling God’s glorious will, the devil will lash out in one final act of hatred in an attempt to thwart the good that is about to happen. Though Thérèse’s soul was blessed by grace, she had one last test to pass prior to professing her vows and beginning her vocation as a consecrated Carmelite nun. On the eve of the great day, instead of being filled with the customary sweetness, my vocation suddenly seemed to me as unreal as a dream. The devil—for it was he—made me feel sure that I was wholly unsuited for life in the Carmel, and that I was deceiving my superiors by entering on a way to which I was not called. The darkness was so bewildering that I understood but one thing—I had no religious vocation, and must return to the world. I cannot describe the agony I endured. This test, which was permitted by God, was a painful one that struck at the heart of her lifelong mission of giving herself completely to our Lord as His bride. The devil hated what was about to happen and so he was permitted to tempt her with this most vicious attack upon her vocation. God permitted it, knowing full well that she would pass the test. Thérèse immediately knew she had to share her thoughts and feelings with her sister, who was also her Novice Mistress. She did so and Sister Agnes immediately saw clearly what was happening. Her first reaction was to laugh and then reassure Thérèse that this was nothing other than a temptation to doubt the glorious plan of God. Upon speaking to her and Mother Marie, “the devil was put to instant flight.” The devil wanted her to keep this confusion to herself so he could continue to lead her into doubt and despair. When she brought it into the light, the evil one lost all power over her in that moment. Reflection: Have you ever experienced God leading you toward the fulfillment of His glorious will, only to have last-minute doubts about His will or your ability to fulfill it? This is a common spiritual experience that happens even with everyday situations. Stage fright and panic before a presentation are examples of this. On a spiritual level, when the “event” we are engaged in is the fulfillment of the will of God, we might often be tempted to turn away and doubt in the last moments. If you experience this in your life, do not see this only as a temptation, see it also as a test that has the potential of solidifying God’s will and bringing it to a glorious fulfillment. Discernment must take place slowly, methodically, carefully and prayerfully over time. Trust the test of time rather than quick moments of confusion, panic and doubt. Rely upon the guidance of friends and family in moments of confusion and allow God to speak through them so as to fulfill the glorious plan He has for your life. Saint Thérèse, you dedicated your whole life to the pursuit of God’s will for you to make solemn vows as a Carmelite nun. Though the evil one attempted to derail your vocation one last time, you exposed his menacing temptation to the light by opening your heart to your sister and Mother Superior. Pray for me, that I may be blessed with others who assist me when I face confusion and doubts. May I imitate your hope and perseverance as I seek to fulfill the glorious plan God has for my life. Saint Thérèse, pray for us. Lesson: On September 8, 1890, the Feast of the Nativity of the Blessed Virgin Mary, Little Thérèse professed her vows as a Carmelite nun, becoming Sister Thérèse of the Child Jesus and the Holy Face. In that act, she became solemnly espoused to her Lord and entered into a feast of God’s mercy that would only be surpassed by her entrance into Heaven seven years later. 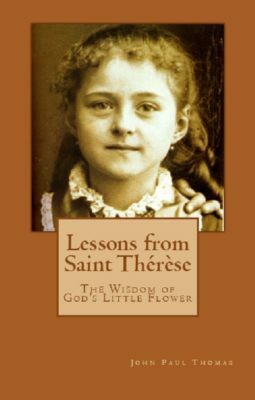 From a worldly perspective, Thérèse had given up everything. From a divine perspective, Sister Thérèse now received more than the human mind can fathom. Since many who knew her in the outside world could not attend this private ceremony (including her father who was too ill), Sister Thérèse decided to send out an invitation to the eternal wedding feast in celebration of her marital union. “God Almighty, Creator of Heaven and Earth, Sovereign Ruler of the Universe, and the Glorious Virgin Mary, Queen of the Heavenly Court, announce to you the Spiritual Espousals of their August Son, Jesus, King of Kings and Lord of Lords, with little Thérèse Martin, now Princess and Lady of His Kingdoms of the Holy Childhood and the Passion, assigned to her as a dowry, by her Divine Spouse, from which Kingdoms she holds her titles of nobility—of the Child Jesus and of the Holy Face. It was not possible to invite you to the Wedding Feast which took place on the Mountain of Carmel, September 8, 1890—the Heavenly Court was alone admitted—but you are requested to be present at the Wedding Feast which will take place tomorrow, the day of Eternity, when Jesus, the Son of God, will come in the clouds of Heaven, in the splendour of His Majesty, to judge the living and the dead. This invitation expresses the sheer joy Sister Thérèse felt as she formally began her beautiful vocation. She articulated the eternal spiritual reality of what took place that September morning. She was not caught up in the excitement of the moment alone, she was caught up in the eternal moment. Forever, her espousal to Jesus would be celebrated. Reflection: It is often very difficult to live in the world without becoming consumed by the desires and temptations of the world. The vocation of Sister Thérèse must teach us to see our own lives from the eternal perspective. How well do you do this? How well do you make daily decisions with your eyes upon Heaven? God wants us to begin the eternal celebration of our union with Him here and now and to live that way for eternity. We do so when we make daily choices that will be celebrated now and forever in Heaven. Reflect upon your perspective in life this day. Do you live only for the moment? Or do you live each moment as a preparation for and participation in the eternal joys of Heaven? Let Heaven begin now in your life and, like Sister Thérèse, your soul will be daily flooded with the peace and joy that surpasses all understanding. Saint Thérèse, you said “I do” to our Lord and became His beloved spouse for eternity. The joy of that wedding feast was a joy that will be celebrated forever. Pray for me, that I may not live only for the passing pleasures of this world but that I may seek to fully immerse myself in the joys that are eternal. May my Heaven begin now as I say “Yes” to the perfect plan God has for my life. Saint Thérèse, pray for us. Lesson: Sister Thérèse began her consecrated life with much fervor but also with many interior struggles. At the general retreat following her profession, she suffered greatly and did not know how to explain to others what she endured. She did not even understand it herself. The priest who led the retreat had a reputation for knowing how to assist sinners but was not very well-known as one who knew how to help nuns. Sister Thérèse, however, found him to be most helpful. She opened her soul to him and he understood her. As they spoke, he reassured her of the tender love God had for her. The Father understood me in a marvellous way; he seemed to divine my state, and launched me full sail upon that ocean of confidence and love in which I had longed to advance, but so far had not dared. He told me that my faults did not pain the Good God, and added: “At this moment I hold His place, and I assure you from Him that He is well pleased with your soul.” How happy these consoling words made me! Reflection: Fear, often of judgment, can paralyze us and confuse our thinking. As a result of this fear, we often fail to understand ourselves and God’s will for our lives. It is good to have a holy fear of sin, but if our fears become disordered, we fail to fully understand the tender mercy of God. Do you understand the tender mercy and love of God? Are you able to have a healthy fear of sin while at the same time have great hope in God’s love for you and His willingness to forgive? Ponder your view of sin in your life and seek to imitate Saint Thérèse. She opened her heart to this spiritual father, and he helped her to see her soul as God sees it. Seek the wise counsel of those whom God has put into your life and allow God to speak to you through them. When it is His voice that you hear, you will know it clearly and it will be His voice that sets you free. Saint Thérèse, you were set free as you came to understand the tender love of the Father in Heaven. In the shadow of His mercy, your sins were put into perspective. Pray for me, that I may have no fear of confessing my sin so that I, too, may come to understand the mercy of God. Saint Thérèse, pray for us. Lesson: When Jesus lives in your soul, He directs all your words and actions. At times, He speaks through us to others, and at times He remains silent. It must be our constant duty to speak only the words of Jesus and to be His hands and feet only as He leads. Such was the case with the Venerable Founder of the Lisieux Carmel, Mother Genevieve of St. Teresa. A couple of months after the general retreat in which Sister Thérèse received many graces, she was graced once again at the passing to Heaven of this holy Mother. A few weeks before her passing, Mother Genevieve saw Sister Thérèse across the room, and Jesus gave her a message for Sister Thérèse as she was leaving the room. A week later, Sister Thérèse spoke to Mother Genevieve and asked her if she had another word for her. This time Mother said she did not. But this did not disappoint Sister Thérèse; rather, it inspired her to understand that Jesus was truly living in the soul of Mother Genevieve. If Jesus gave her a word to speak, she spoke it. If He did not, she remained silent. After Mother Genevieve’s death, Sister Thérèse had a dream in which every sister came forward to receive some gift from their Venerable Foundress. Sister Thérèse was last but Mother did not have anything left. Just then, Mother said to Sister Thérèse three times, “To you I leave my heart.” Indeed, her heart was the Heart of Christ, and Sister Thérèse did receive this perfect and precious gift. Reflection: Sometimes, in our desire to do good and to help those around us, we can offer all forms of “advice” and guidance. But are the words you speak and the actions you perform from you or from the heart of Christ? Holiness consists in being so conformed to the Heart of Christ that He and He alone lives within you and speaks and acts through you. This takes a true discipline of love to allow our Lord to use you in such a careful way. Reflect upon Jesus living in you, acting through you and speaking His words of love in the words of your mouth. Pray that you may be so united to Him that He and He alone is the actor of your soul. Saint Thérèse, you were blessed with the holy example of Mother Genevieve. She enfleshed the Heart of Christ and spoke only His words of love. Pray for me, that I may be blessed with such holy witnesses in my life. May I also seek to receive the Heart of Christ and allow His Heart to dictate all I say and do. Saint Thérèse, pray for us. Lesson: Toward the end of 1891, the Carmel convent of Lisieux experienced an epidemic of influenza that took the lives of several sisters. Those who did not become ill suffered greatly as they offered these sisters to God. Sister Thérèse herself was ill only briefly, but in spite of these earthly trials around her, Sister Thérèse grew in her love of Jesus. After the influenza epidemic passed, she continued to receive much interior consolation from Jesus on a daily basis. However, she had the opposite experience every time she received Jesus in Holy Communion. Instead of experiencing the closeness of God in Holy Communion, Sister Thérèse felt nothing of His presence, even though she prayed with much fervor. Despite the lack of consolations, the way Sister Thérèse prepared for Holy Communion reveals her deep faith. I picture my soul as a piece of waste ground and beg Our Blessed Lady to take away my imperfections—which are as heaps of rubbish—and to build upon it a splendid tabernacle worthy of Heaven, and adorn it with her own adornments. Then I invite all the Angels and Saints to come and sing canticles of love, and it seems to me that Jesus is well pleased to see Himself received so grandly, and I share in His joy. But all this does not prevent distractions and drowsiness from troubling me, and not unfrequently I resolve to continue my thanksgiving throughout the day, since I made it so badly in choir. Sister Thérèse was unwavering in her faith every time she received Holy Communion. The loss of consolation at that time was an invitation from Jesus to receive Him NOT because she was consoled, but because He was God and was worthy of her love. However, one day she grew spiritually weary and for several days had only received a small part of the host because there were not enough. In her wearied state, she decided that on the next day, if there were not enough hosts, this would be a sign that Jesus did not want to come to the “heaps of rubbish” that made up her soul. But Jesus, in His tender care, inspired the priest that day to give Sister Thérèse two full hosts, which she understood to be an act of great mercy from Jesus in the moment that she needed to be reminded of His love. Reflection: God knows what we need and when we need it. Sister Thérèse faithfully received Holy Communion, making a profound act of faith in her thanksgiving day after day without any sense of God’s presence. The moment Sister Thérèse began to waver out of weakness and doubt, God revealed His love and His desire to come to her. Ponder these two powerful lessons from Sister Thérèse. First, it is our duty to love God for the sake of God alone. He is worthy of our love, and we must love Him even when we do not feel that love. Second, God will never abandon us. In our weakness, when we need His presence the most, He will be there. Commit yourself, today, to fidelity to Jesus no matter how you feel. Say “Yes” to Him when you are desolate, and say “Yes” when you are consoled. If you are faithful through all things, you can be certain that God’s fidelity will be repaid in abundance. Saint Thérèse, in faith you pondered the reality that all you have to offer Jesus is a “heap of rubbish” within your soul. But in faith, you trusted that your soul would be transformed into Jesus’ glorious throne. Pray for me, that I may love God in good times and in difficult ones. May I imitate your faith and devotion and never waver in my love of God for the sake of love alone. Saint Thérèse, pray for us. Lesson: Thérèse’s father, Saint Louis Martin, suffered greatly after returning home from a three-year hospital stay. He had to be cared for by Céline and Léonie for the two years prior to his death. During this time, he was only once able to visit his other daughters in the Carmel Convent. In that final visit, he lovingly looked at his little Queen Thérèse and said only one thing, “In Heaven!” as he pointed upward. From that time onward, Mr. Martin was incapacitated in body and mind and his former self was now veiled with the face of our suffering Lord. Sister Thérèse loved him dearly and continually wrote to Céline and Léonie to encourage them in their duties to care for their father. Throughout this great suffering and deep sorrow, Sister Thérèse remained strong. Her disposition taught that strength, peace, joy, suffering and sorrow were not in conflict. Even though it meant she would no longer see her father in this world, Thérèse longed for him to be in Heaven. One sister recalled Sister Thérèse speaking about her father with perfect serenity and peace, while at the same time shedding a large tear from her eye. This was a lesson to her of the strength of Sister Thérèse’s soul, as well as her deep affection for her suffering father. Love and suffering were commingled within her heart. Sister Thérèse’s devotion to the Holy Face was a great consolation to her at this time of her father’s suffering. Her reflection on the Holy Face was a constant image of her father, whose suffering veiled his former self. From the time of her profession until the time of his passing on July 29, 1894, Thérèse’s father and the Holy Face of Jesus were one and the same. This was Mr. Martin’s final gift to his little Queen. Reflection: In each of our lives we will be given a cross that is hard to carry but is also clearly God’s will. Reflect upon the losses you have experienced in life, which God has asked you to accept with courage, strength, love and sorrow. If you live in the past and refuse to let go of the blessings of the past, you will fail to allow those blessings to become transformed into even greater blessings. As Sister Thérèse endured the slow deterioration of her father on Earth, she discovered the suffering face of Jesus and was given her Beloved in exchange for one who was so beloved to her. Ponder the experience that Sister Thérèse must have felt. Allow her experience to direct any loss that you have encountered. Allow her hope and strength to be a guiding light for your own journey. Saint Thérèse, for five years you slowly witnessed the physical and mental deterioration of your loving king. But his last gift to you, in his suffering, was to deepen your knowledge of your Heavenly King. Pray for me, that I may find Jesus in every sorrow I endure, especially in the sorrow I endure on account of the suffering of those I love. Saint Thérèse, pray for us. Lesson: Though Céline also felt a call to follow her sisters into holy espousal with Jesus at the Lisieux Carmel, God called her to care for her father during his illness. Léonie assisted her for the first year their father returned to Lisieux but then entered the Visitation Convent in Caen at her second attempt at religious life. Céline faithfully cared for their father with the help of their uncle, a maid and a male assistant. When their beloved father passed to his Heavenly reward on July 29, 1894, Céline was now free to turn her eyes to Carmel. Now that he was with God, the last ties which kept his consoling Angel in the world were broken. Angels do not remain on this earth; when they have accomplished their mission, they return instantly to Heaven. That is why they have wings. Céline tried therefore to fly to the Carmel, but the obstacles seemed insurmountable. One obstacle came from Father Pichon who wanted Céline to go to Canada to help him found a new apostolate. Other obstacles included the opposition of Canon Delatroette who did not believe it wise that four Martin sisters be in the same Carmel. Several of the sisters at the Lisieux Carmel also were concerned about having four sisters together. Her cousin Jeanne La Neele and her husband Francis wanted Céline to remain in the world rather than waste her life at Carmel. Eventually, the only opposing voice was Sister Aimee of Jesus, one of the Carmelite nuns, so Sister Thérèse turned to prayer that she would have a change of heart. God, Who holds in His Hand the hearts of His creatures, and inclines them as He will, deigned in His infinite mercy and ineffable condescension to change that Sister’s mind. She was the first person I met after my thanksgiving, and, with tears in her eyes, she spoke of Céline’s entrance, which she now ardently desired. Shortly afterwards the Bishop set every obstacle aside, and then you were able, dear Mother, without any hesitation, to open our doors to the poor little exile. Sister Thérèse’s prayers were successful and this final desire of hers, that her sister Céline join her at Carmel, was now set to be fulfilled. Céline embraced her calling and followed Pauline, Marie and Thérèse to Carmel on September 14, 1894. Reflection: Have you encountered obstacles in the fulfillment of God’s will that appear to be “insurmountable?” Oftentimes God allows us to face such challenges to purify our intentions and to strengthen our resolve. Céline and Thérèse only wanted the will of God to be done, but they discovered that those who were closest to them placed one obstacle after another. Family, priests and other religious sisters were standing in the way of the will of God. Whenever you discern the will of God but find it difficult to fulfill, prayer is the key. Reflect upon anything that poses a great challenge to you today. Do all you can to embrace the will of God, but know that only God can open doors and, at times, move mountains. Trust in the power of prayer and you will see God’s will come to fruition. 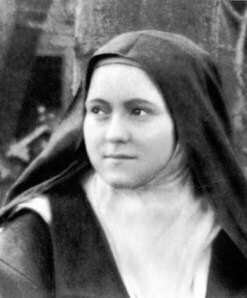 Saint Thérèse, you supported your sister Céline in the fulfillment of her vocation, but you both were met with what appeared to be insurmountable obstacles. As a result, you entrusted all to prayer and God changed hearts. Pray for me, that I may never be a hinderance to the fulfillment of the will of God in my life and in the lives of others. May I also have the deepest trust in God and entrust all things to Him through prayer. Saint Thérèse, pray for us. Lesson: Sister Thérèse had desired many things in life. She desired to enter Carmel at an early age, the well-being of her father in his illness, that Céline follow her to Carmel and many other smaller desires along the way. Once Céline entered Carmel, it was as if every hope and desire Sister Thérèse had in life had been fulfilled. All earthly ties had been severed, and she was able to begin a new focus in her life. She turned to the last desire of her heart, which would become the single desire for which she would now live. She desired to love God and God alone. Now I have no desire left, unless it be to love Jesus even unto folly! It is Love alone that draws me…From earliest childhood I have imagined that the Little Flower would be gathered in its springtime; now, the spirit of self-abandonment alone is my guide. I have no other compass, and know not how to ask anything with eagerness, save the perfect accomplishment of God’s designs upon my soul. Sister Thérèse turned her eyes to love and love alone. Self-abandonment to the Heart of Christ was the only mission of her life. Reflection: Most people are distracted by the desires, busyness, temptations and needs of daily life. Life can seem complex and even complicated. There are many distractions that draw us here and there, competing for our time, attention and desires. Though we are not all called to follow Saint Thérèse into a cloister so as to be able to turn our singular focus to the love of God, we must seek to imitate her as we live in the world. Reflect upon the desires of your heart. What is it that you long for, think about and perhaps even obsess over? All Christians must seek to surrender their desires in life to God so that they will all be directed in accord with His perfect will. The more we do that, the more we love God. And the more we love God, the more we fulfill His perfect will in every aspect of our lives. Saint Thérèse, you were given a special vocation in which you could devote all your time and energy to the love of God alone. Pray for me, that I may imitate your love and that I may do all things for God’s glory so as to abandon myself into His perfect will for my life. May every desire of my heart be purified and directed by the love of our most Merciful God. Saint Thérèse, pray for us. Lesson: As Sister Thérèse turned her eyes to the love of God alone, God began to teach her many lessons in the depths of her soul. On June 9, 1895, the year after Céline entered Carmel, Sister Thérèse was pondering the unique vocation given to some to become a victim of God’s justice. She realized that some people are given the mysterious vocation of suffering greatly for sinners so as to free them from the punishments necessitated by God’s justice. But in pondering this noble vocation of victimhood, she immediately became aware of the need to become a “victim” in a new way. She suddenly discovered that she was to be a Victim of God’s Merciful Love. O my God! must Thy Love which is disdained lie hidden in Thy Heart? Methinks, if Thou shouldst find souls offering themselves as victims of holocaust to Thy Love, Thou wouldst consume them rapidly; Thou wouldst be well pleased to suffer the flames of infinite tenderness to escape that are imprisoned in Thy Heart. In this revelation, Sister Thérèse discovered one of the greatest mysteries of faith ever discovered. From the moment she responded to that discovery and offered herself as a “Victim of Merciful Love,” her life was forever transformed. Every moment this Merciful Love renews me and purifies me, leaving in my soul no trace of sin. I cannot fear Purgatory; I know I do not merit to enter, even, into that place of expiation with the Holy Souls, but I also know that the fire of Love is more sanctifying than the fire of Purgatory. I know that Jesus could not wish useless suffering for us, and He would not inspire me with the desires I feel, were He not willing to fulfill them. Reflection: This discovery on the part of Sister Thérèse is a profound mystery. God’s justice, and His punishment for all sin, is only transformed by love. When one loves God, and makes a complete offering of one’s life to the love of God, God is bound to remove all sin and all stain of sin. If this discovery on the part of Sister Thérèse seems beyond your comprehension, do not worry. She did not discover it fully until after being a consecrated nun for several years. Therefore, instead of worrying about how fully you understand this mystery of victimhood to divine love, ponder the fact that love of God is so profound and so deep that you will be pondering it for all eternity. Allow the vocation of Saint Thérèse to intrigue you, to call to you and to inspire you to seek more in your relationship with God. Love of God is tangible, real and transforming. It is not a lofty idea; it is a practical reality. Pray that you, like Sister Thérèse, will be open to the mystery of this love and will allow it to transform you forever. Dearest Saint Thérèse, you offered yourself to Jesus as a victim to His divine love. In so doing, you were sanctified and freed from all sin, remaining perfectly in His merciful Heart. Pray for me, that I may come to understand the love of God and that I, too, may offer myself to Him as a spotless victim of love. Saint Thérèse, pray for us.